Although it was 43 years ago, there is a certain day in Kindergarten that I can see as clear as the day it happened. It was Groundhog Day. Just before recess our teachers handed out large pieces of brown construction paper with the outline of a groundhog. The outline was made by a thick black line. Our instructions were simple: Cut out the groundhog on the line. The teachers passed out the shiny silver scissors. You know the ones that after just a few cuts they make a little kid’s fingers hurt. (Who invented those things?). I am not sure if it was the heart of an artist or the heart of a rebel (as much as a 4 year old can be a rebel), but something came over me and I decided I liked the thick black line. I thought it would look great along the edge of my ground hog. I picked up my instrument of rebellion and began to cut just outside the line. It seemed like an hour passed as I cut away that last piece of scrap paper. 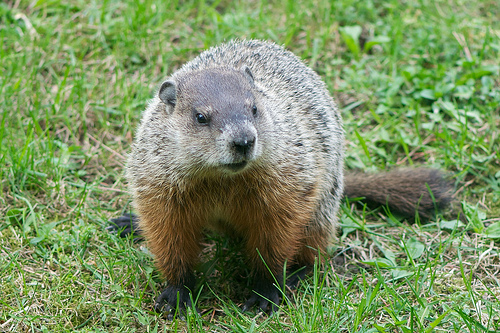 Finally laying there on the table was my beautiful ground hog with a stark thick outline around its edge. I was pleased with my accomplishment. My teachers however, were not amused. I had committed a great sin. I failed to follow instructions. The other kids were quickly dismissed to go play outside while I remained inside alone to remove that glorious black line. Those shiny silver scissors were now an instrument of mental and physical torment as a sharp pain shot up my thumb with each cut. The creative side of me was crushed. Why does this day of all days remain so vivid in my mind? Was this the day that I began to proclaim that I am not very creative? That I am not an artist? Creativity: Sometimes we have to cut outside the lines to create our art. Despite whether or not we think of our selves s artists we are meant to create (we are created to be creative). In the beginning God created. Know matter what you have been told, or told yourself, you are creative. Willing to risk: Tradition is often a wonderful thing, but at at times it can lead to stagnation and even death. A leader has to be willing to take the risk and break with tradition to chart a new course that leads to growth and success. Cutting outside the line can be risky; however, the rewards can be glorious. Take the chance to be more creative, innovative and embrace risk. So go on and take the risk today and cut outside the lines. I promise, I will not tell the teacher. What has been your experience with “cutting outside” the lines? Have you discovered something new or has someone tried to force you to comply?